Dimensions 1.25 by 4 by 6.75 in. Alvin returns to his family in the town of Vigor Church to share in their isolation, work as a blacksmith, and teach anyone who wishes to learn the secrets of being a Maker, unaware that his ancient enemy, the Unmaker, plots to end his life. Reissue. Now a grown man and a journeyman smith, Alvin has returned to his family in the town of Vigor Church. He will share in their isolation, work as a blacksmith, and try to teach anyone who wishes to learn the knack of being a Maker. For Alvin has had a vision of the Crystal City he will build, and he knows that he cannot build it alone. But he has left behind in Hatrack River enemies as well as true friends. His ancient foe, the Unmaker, whose cruel whispers and deadly plots have threatened Alvin's life at every turn, has found new hands to do his work of destruction. 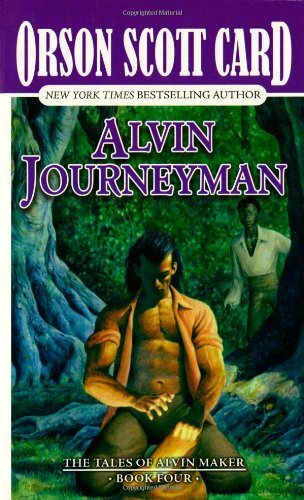 About: [Audio CD Library Edition in vinyl case] [Read by Orson Scott Card, Heather Cogswell, Gabrielle De Cuir, Kirby Heyborne, Stephen Hoye, Stefan Rudnicki, Mirron Willis] A 1996 Locus Award Winner for Best Fantasy Novel Alvin is a Maker, the first to be born in a century. About: Alvin Miller, a gifted seventh son of a seventh son, utilizes his skills as a Maker to help create a brighter future for America, but his task is further challenged by his ancient enemy, the Unmaker, who plots to end Alvin's life.